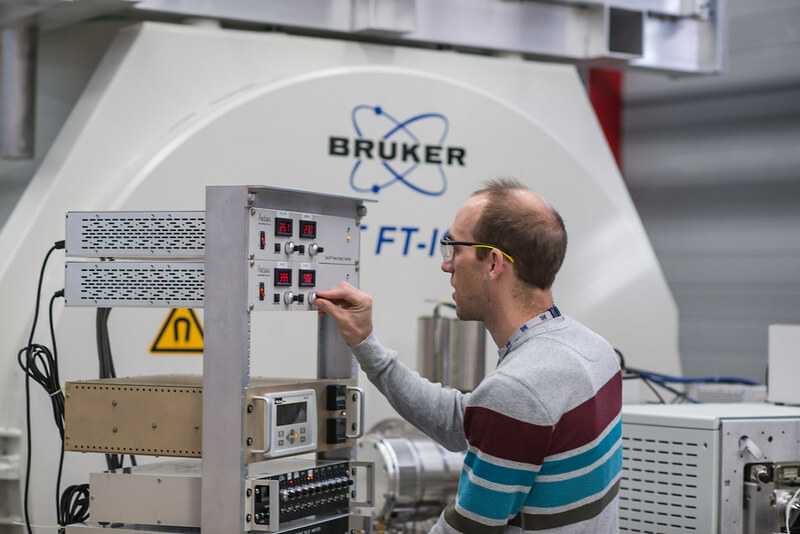 Built by Bruker Corporation and available to scientists since October 2015, this 21 tesla (T) magnet was installed in a custom room and paired with unique instrumentation designed and built at the MagLab. This powerful system allows researchers to view in amazing detail the structure of proteins, the chemical composition of petroleum and biofuels, and biological markers for diseases. Applying a technique called Fourier Transform (FT) ICR, the tool combines high resolution and sensitivity to tell discrete molecules apart by mass. 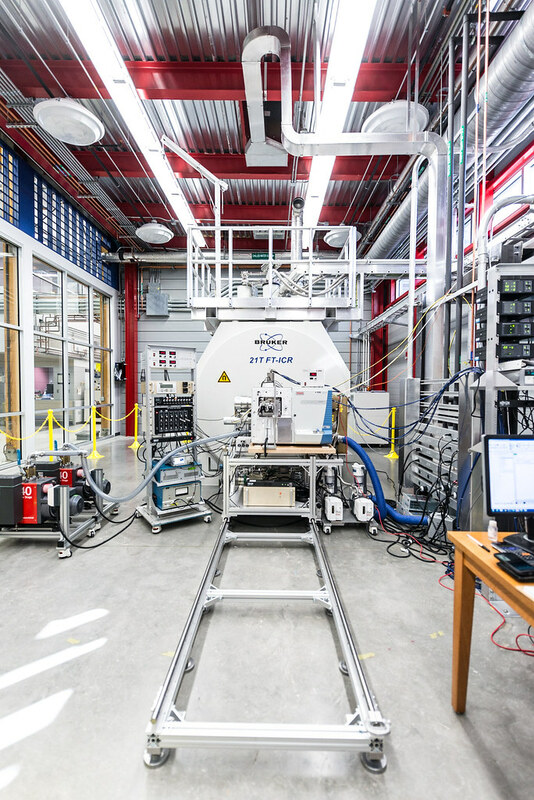 This upgrade to 21 T represents a 45 percent increase in magnetic field for ICR research at the MagLab, and more than doubles the accuracy of measurements to about 50 parts per billion. 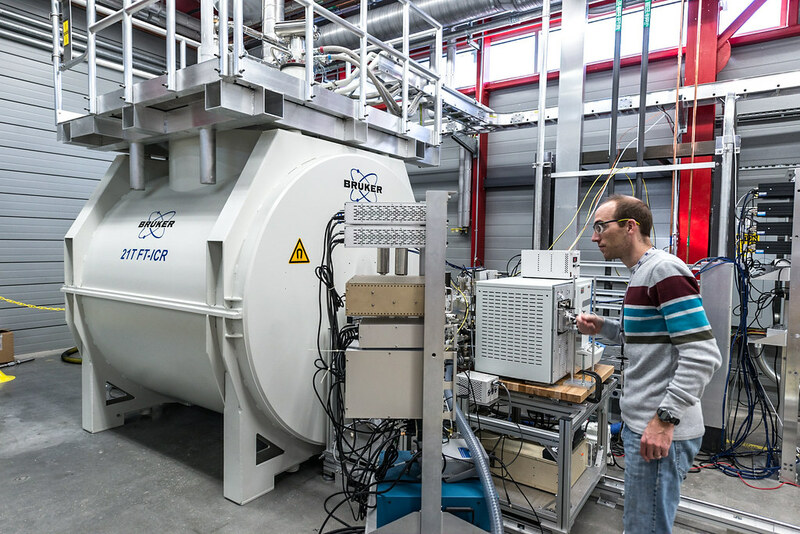 With it, chemists and biologists will be able to study extremely complex substances and identify upwards of 100,000 different molecules in a single sample. 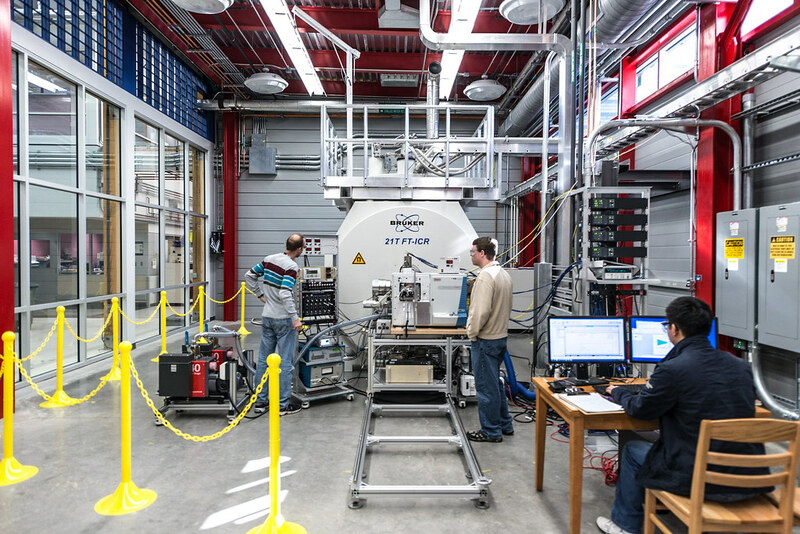 Combined with the various techniques that can be used with it, the magnet will give scientists a look at complex organic mixtures like proteomes, metabolomes and petroleum that will be much clearer than ever before, and will allow them to map contact surfaces in biomolecular assemblies. 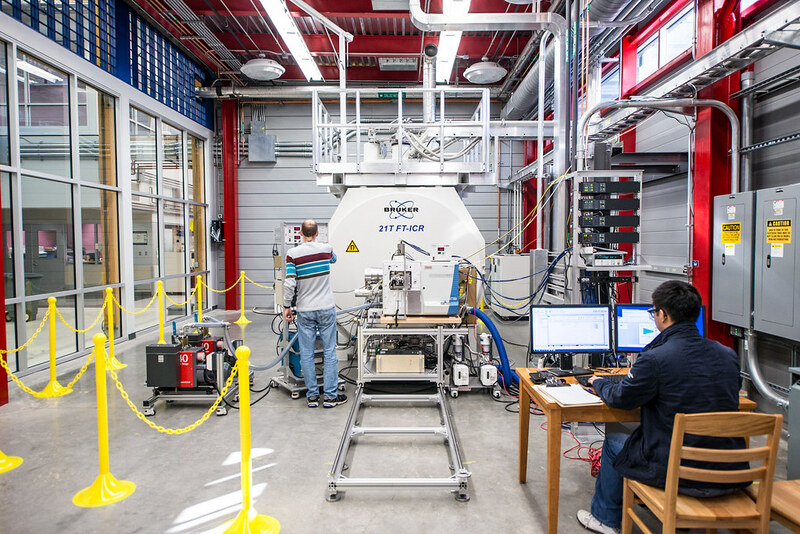 For more details on this magnet, please visit the ICR Facility section. 21 tesla ICR magnet. 21 tesla ICR magnet. 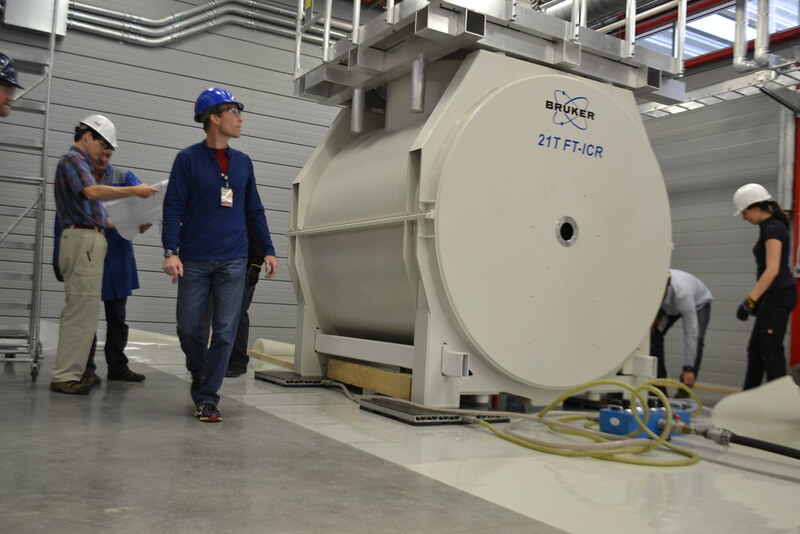 ICR researcher Nate Kaiser with the 21 tesla ICR magnet. 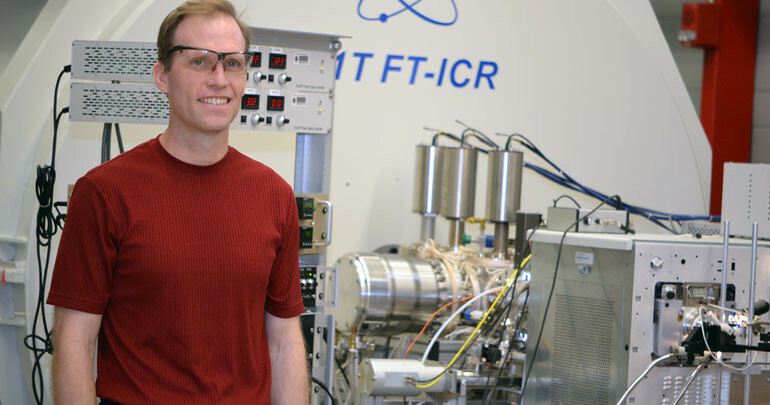 ICR researcher Nate Kaiser with the 21 tesla ICR magnet. 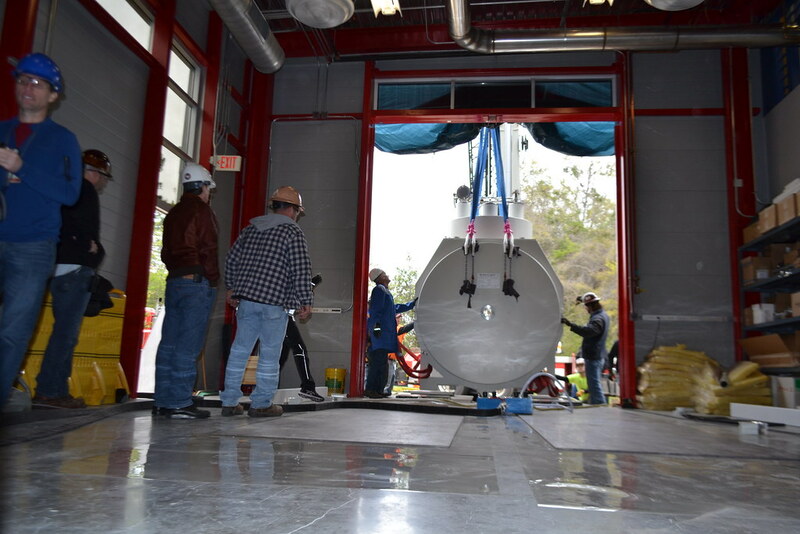 21 tesla ICR magnet arrives. 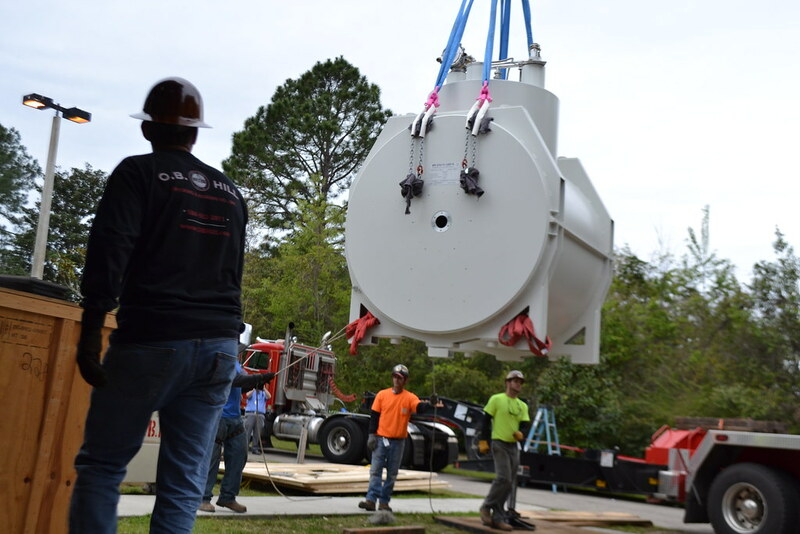 21 tesla ICR magnet arrives.